And just like that, we’re halfway through the Bike More Challenge! 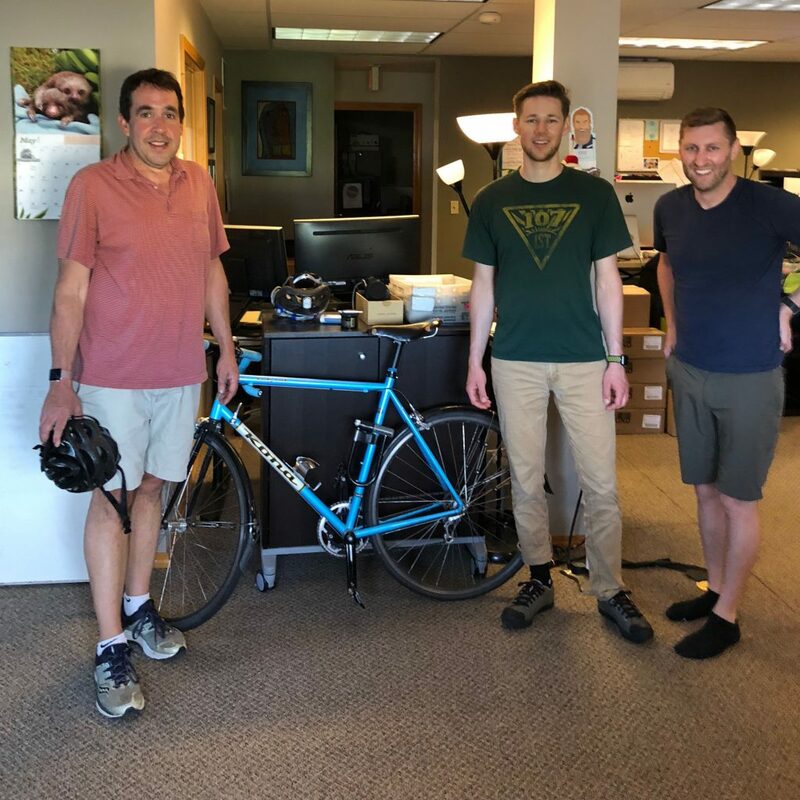 For the third year in a row, the LifeBalance Program staff is participating in the Bike More Challenge, a month-long event aimed at getting more people cycling in Oregon. We are logging our cycling miles to compete against other companies our size for the most participation, number of trips, total miles, and CO2 saved by not driving. Since May 1st, Team LifeBalance has had five riders log 105 collective miles over 30 trips. That’s slightly further than a relay race from our home neighborhood of Sellwood to Mt. Hood Skibowl (to ride the alpine slide, of course!) and back. We’re currently ranked 70th among companies of our size in Oregon that are participating in the challenge. We have more staff participating than the Portland Mayor’s Office, though Mayor Ted Wheeler has logged more miles than any single rider on our team. Our staff are finding all sorts of excuses to get outside and ride! Biking to the gym, instead of driving. Getting out with the kids on the weekend. One staff member even organized a bike ride to lunch on a sunny Friday afternoon. Delicious and healthy, just the way we like it! Bill, Olin, and Kevin are all smiles after a sunny lunchtime ride. While competition and environmental statements are motivators for our team, the biggest benefits of the Bike More Challenge come from the sheer fun of riding and the opportunity to get more activity in our day. The benefits extend to the workplace as well: research shows that regular, moderately intense exercise can help with memory, concentration, and mental-sharpness. Whether you and your colleagues are participating in the challenge or not, cycling is a wonderful way to get active! With the warming weather and longer daylight hours, May is a great time of year to get some pedaling in. If you’re new to cycling, or it’s been a few years since you’ve hopped in the saddle, check out our tips for getting started. We’ll see you out there on the roads!